The Denver-based book club Crime & Beyond recently discussed a Harlan Coben book and Kerry Hammond is here to tell us what they thought. 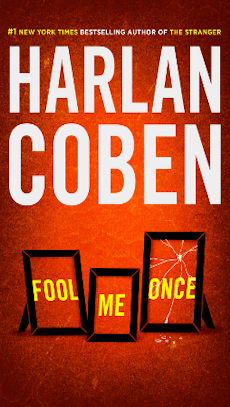 Crime & Beyond met this past month to discuss Fool Me Once by Harlan Coben. 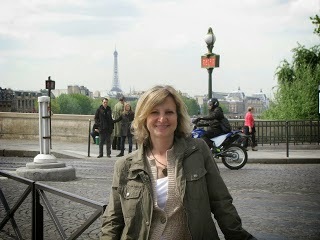 If you search the Mystery Playground blog you will see that we read Harlan often and he is one of our favorite authors. His books are the kind that you can take on vacation without a back-up, ones you know will draw you in and keep you guessing. Fool Me Once was no exception. The book revolved around Maya, a former special ops helicopter pilot. As the story opens, we learn that Maya’s husband, Joe, has been brutally murdered two weeks earlier. As the family is preparing for his funeral, Maya’s friend gives her a nanny cam, explaining that now that Maya is a single Mom, she needs to keep a better watch on her two-year-old daughter. When Maya reviews the footage one afternoon, she sees her dead husband playing in the living room with her daughter. Maya doesn’t believe her eyes and she starts to delve into the events surrounding her husband’s murder and even that of her sister, which occurred just a short time before. The search leads her to some shady characters and causes her to mistrust everyone around her, even the police. She has no one she can turn to and she must rely only on herself and her training to stay alive. Our club loved this book. It was a fast and engrossing story, with twists and turns along the way and a shocker of an ending. Many of us loved that the murders have already occurred when the story begins, allowing us to watch Maya try to unravel all of the events. We enjoyed a long discussion about the characters and the plot. This is a great book club read, and it's not the only Harlan Coben book the Crime & Beyond Book Club has read.